Entry way… this is the first place you and your guests see when they walk into your house so why not make it a little more special for the holidays! Bathrooms… a great small space to add a little holiday flair. Kids rooms… let the kids display their creativity and get into the holiday spirit. If they are anything like my 5 year old, they will love making their room a little extra special. 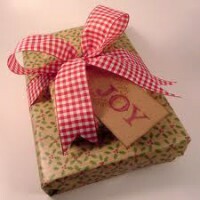 It’s a great way to get them involved in decorating and give them free reign over how they choose to decorate. Maybe take them on a little shopping excursion and have them pick out a few things to decorate their rooms! Bookcases, entertainment centers and bar areas are perfect spaces for adding little touches of the holiday. You can choose to mix in a few holiday decorations within what already exists or completely use the entire space to create a whole new look with an entire holiday display. Mantels are always a must to decorate. There are so many ways options for creating displays and more often then not they are the focal point of a room! 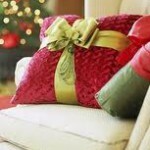 Living rooms and family rooms are also quite popular for decorating during the holidays. If these rooms are where you, your family and guests spend most of the time then they are a must for adding the holiday spirit and cheer!